With HG, nothing stays down. Not food, not fruit and not even water. The only way I could possible drink something was if it was a glass of water with about a table spoon of juice or malt and it was chilled to almost freezing. And sometimes that did not work. I spent a lot of time opening my freezer to just take 1 or 2 sips of liquid and return it to the freezer to maintain that ideal temperature. If ice formed in it I had to let it thaw a bit and then return to the freezer to get to the “just before the ice forms” temperature. My lips were constantly dry, shining and split because I was so dehydrated. My eyes even felt dry and gritty because I could not get in enough fluid. There were times I am not sure if I even would have produced tears because I was so dehydrated. There were days that the thought of throwing up another time was so horrifying that even risking 1 sip of water was too much for me to do. Then to top off the dehydration, I got the “you got to drink something.” “You are using so much salt and not drinking water you will end up with high blood pressure”. Thanks. Ok, I know they meant well, but unless you know what it feels like to be unable to drink anything for days on end, while throwing up all the time, these statements, though well meaning, only serve to add burden to an already suffering, depressed, hormonal pregnant woman, who is so sick that she thinks that she just might die or her baby might die. Many nights I would wake up with my throat so parched that I almost had no saliva. But because I was up at all sorts of hours I came to realize that if I woke up and went straight to the freezer in the wee hours of the morning, I could actually drink more than a sip (maybe a cup) of water. This is how I managed to get liquid into me- my 2am or 3 am trips to the freezer. Any other time, was a sip and possible a trip to the bathroom. Tired of being sick…”unthinkable” thoughts swirling through your mind. HG is so physically and emotionally debilitating that every second of being sick drives you further and further into depression. Many days I found myself with no joy about my pregnancy. The more I was sick, the more frustrated and depressed I got. There was no break. I was nauseated ever minute I was awake. I was spitting so much that falling asleep was impossible and sleep would often come after midnight. I was throwing up until my stomach hurt, my back hurt, my throat bled and bile and blood came up, my head hurt, I was faint, and it was physically impossible to stand. “This is not how MY pregnancy is supposed to go!” I would scream in my head. Every time I went to the OB appointments, there would be pregnant women every where eating, drink, laughing…glowing and absolutely looking as if they were enjoying every moment of their pregnancy. And here I was, sick…EVERY MINUTE of every day.And not just “I am feeling a little under the weather” sick, but “God, please don’t let me die” sick! And the unthinkable, and unspeakable, thoughts came. How can someone pregnant, with a healthy pregnancy, be so ungrateful as to wish they were not pregnant at all?!! But when you have barely kept down a teaspoon of water in 2 days, have choked as you threw up your meal, heaved so hard your stomach hurt while you threw up bright yellow bile because there was nothing left inside your stomach to come up besides that…when you are sitting in bed or on your sofa like I had to do, because you can’t lay down to sleep any more because of the severe reflux…the thoughts flood in. And those thoughts have absolutely nothing to do with the wonderful life that was created, but everything to do with being depressed and despondent during HG. HG pregnancy is a slow, low 9 months. It is a journey that seems like the darkest and lowest and most unfair one any pregnant woman makes. When you are there, it is only the love you have for your unborn child, and if you have religion, your faith and obedience to God, that keeps you going in spite of your emotions raging in uncontrollable despair. If not, I tell you, many of us who were and are walking that road would chose to end that journey to escape the suffering HG brings. No one tells you how depressed it can get when you have HG. Believe me when I tell you that this is one of the most depressing times a pregnant woman can go through, except for hearing about a fatal diagnosis for their unborn child ( I was there for a few weeks so I can tell you how this felt first hand). Your body aches, you are constantly sick and what was supposed to be one of the happiest times of your life is the most miserable time. I was working with another teacher who also was pregnant, a few weeks behind me. I watched as she flitted about the place like a butterfly, eating and drinking what ever she pleased. My diet: mangoes, papaya(I hated this before) pasta with lentils and an obscene amount of salt, cassava with and obscene amount of salt, the occasional English potato with nothing but salt, soup had a short stint, extremely cold malt flavoured water. Nothing else was added to my food except what was mentioned- no seasonings, no butter, no oil, nothing but salt. And by diet, I mean that these things had a greater likelihood of staying down for more than 5 minutes. Nothing could be cooked in my house; just boiling water make me throw up. All the seasonings had to go. My mother had to cook for me, with the occasional soup that my sister made for me when I was in my first trimester. Sleeping for 3 hours, spending hours sitting in the bathroom because it was easier that running in there every 5 minutes, watching people eat what ever, go where ever, do what ever, and especially watching my pregnant colleague blooming like a pregnant rose while I was there sick, weak and in pain, really drove me deeper and deeper into depression (forgive my long rambling sentence). And not to mention the stares, the comments about me spitting and being constantly sick and the size of my stomach and how thin I was (I was thin to begin with but got even thinner while pregnant) made the depression pile on. My husband was trying to be supportive but he was just not understanding that I could not stand the smell of garlic and onion and him eating a pattie and then brushing his teeth 3 times afterwards did not help because I still smelt it and threw up. Sure he rubbed my back and brought a chair for me to sit in the bathroom, but “why did he have to do these things?” I thought.”I should be enjoying my pregnancy and instead I am sick EVERY. SINGLE. DAY. 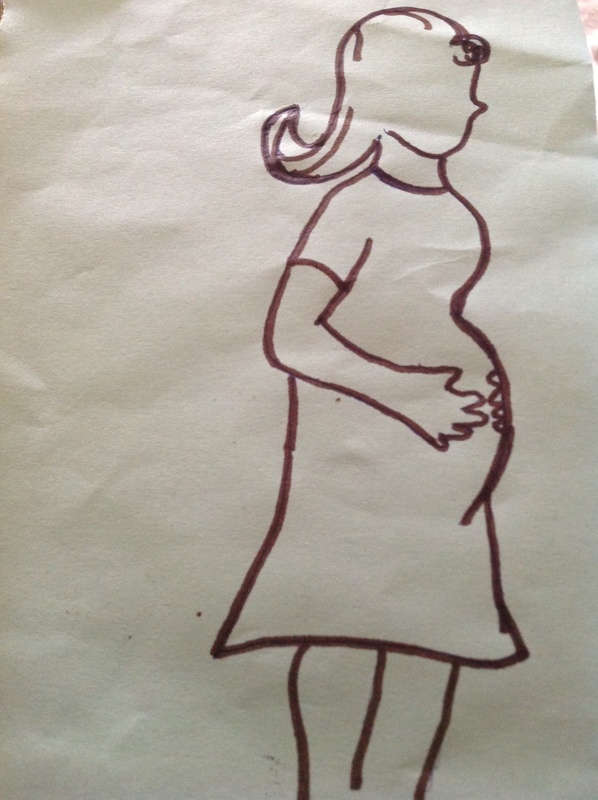 My mother and two sisters were both sick during their pregnancies. my eldest sister got better at around 7 months, but my mother and other sister were sick the entire time. I was hoping that I would get better after the first trimester and be able to really enjoy being pregnant. I had ptyalism (over production of saliva). If I swallowed it, I threw up. Neither my mother or sisters had it, so I was certain that since my pregnancy was so different to theirs, it meant that I wouldn’t be sick the entire time. My OB, after informing me that this was the worse case he has seem of ptyalism, told me about ginger, eating in small amounts, eating crackers, and gave me medication. By the time I was nearing the end of my first trimester, I had begun to throw up at least 10 times everyday. And to top it off, I was back to teaching 4-5 year olds, where I had to talk constantly, and be active (which I couldn’t). I had no energy , every scent known to man made me nauseated or throw up. I sat right by the window at work so that the air would blow the scents of food, crayons, markers, people, away. My hope was beginning to be lost as I realized that this might last the entire 9 months. I remember how excited I was while waiting for a positive result. When we got it I was so excited and afraid. I tried on every piece of clothing I had with a pillow under it. I did not envision getting a big preggo belly so I imagine getting a few maternity clothes to add to the clothes I had. My husband and I went shopping for 2 dresses and 1 shirt about 1 week after we found out because we were so excited (Ok I was bouncing off the walls with excitement while he was just excited). We waited to tell everyone after confirmation from the doctor and after the first trimester. About 2 weeks after we got confirmation from the OB/GYN, I started to feel very sick. I felt like I had gotten a case of horrible food poisoning. I was extremely tired, nauseated and started to feel like I was going to die. I could not believe this was just the pregnancy so one evening I went to a doctor who would see me immediately-a GP. I got in there described my symptoms and told him I was pregnant. He congratulated me and told me take some vitamins and use ginger. I tried the ginger, i tried the vitamins, but I was just feeling so sick. Good thing I was on vacation! I had no energy to get up and do anything, no appetite and I was constantly nauseated. My excitement was beginning to wane as I got sicker. “Ok this will get better soon,” I remember thinking. Then I noticed that swallowing made my stomach burn and made me more nauseated than ever. The vomiting began at about 7 weeks. So now here I was, feeling like I got run over by a bus, tired to the point of not being able to get out of bed, spitting all the time to avoid throwing up, talking less to avoid swallowing my saliva, being constantly nauseated. My exciting pregnancy was not going so well at all. Look out for more of my HG story. Living THROUGH HG Part 1. Some of the things HG sufferers like myself experience! A while back I posted Vegan, Pregnant and HG Part 1 which was a very little insight into how it was to be vegan and have HG and still maintain the vegan diet despite being so sick. Well this post is really about a lot of the challenges that women who suffer from HG face and what it was like for me going through it. When I got pregnant back in 2009, my husband and I were both thrilled! We found out very early because I was not so patiently waiting for the earliest time that I could test. Well to be completely honest, I first tested a week too early because I just could not wait! Anyway, when I got the positive result it was VERY positive so we were hoping for twins. But nope. No such luck. The very positive result was because of high HcG levels, which is common in women who suffer from HG. I felt so terrible I literally thought I was going to die at any moment! A week or so after finding out I was pregnant, I began to feel TERRIBLE! I felt listless and not just listless but lethargic and not just lethargic, bu ON THE VERGE OF DEATH. I literally thought that something was horribly wrong and I probably was going to die! My back hurt, my stomach hurt, my head hurt, my muscles and joints ached. I could not concentrate. I had no appetite, I felt so terrible that I was convinced that at any moment I was going to die! 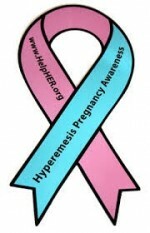 Not all medical professionals understand what HG is all about! I quickly went to a GP because I could not believe that my symptoms were pregnancy related and I wanted to get into any doctor as soon as possible. Well the doctor simply told me that it was just the pregnancy and to eat mints, use ginger, chamomile tea and take some vitamins and I should be better. Well I went into the see the doctor and told him everything I was experiencing and he prescribed some medication, talked about using ginger, sweets, eating in smaller quantities etc. I went home and tried all of these things and nothing worked! I constantly felt nauseous and I could hardly move or do anything. When I woke up, I would often not want to get out of bed because I woke up feeling so ill, even before I moved to do anything. The nausea was so bad that I often had to sit because I was just so sick to my stomach that I could not move. My stomach felt bloated, upset,and when it was like that I wished that I could just throw up to get rid of that feeling. But, throwing up did not get rid of that feeling. Throwing up was a WHOLE other story which is actually A LOT WORSE than the nausea! Because I was experiencing the pthyalism, I started to speak less when I realized that the more I spoke, the more I swallowed the saliva and the more I through up. It was getting silent and lonely as I chose rather not to talk instead of throwing up. Conversations with friends and family disappeared and were limited to very short interactions with some of my family or girlfriends who would call to check to see how things were going. I’m going to stop here for now. If I don’t this post will get extremely long as I have almost 9 months of HG struggles to talk about. So look out for Part 2 of my HG struggles.